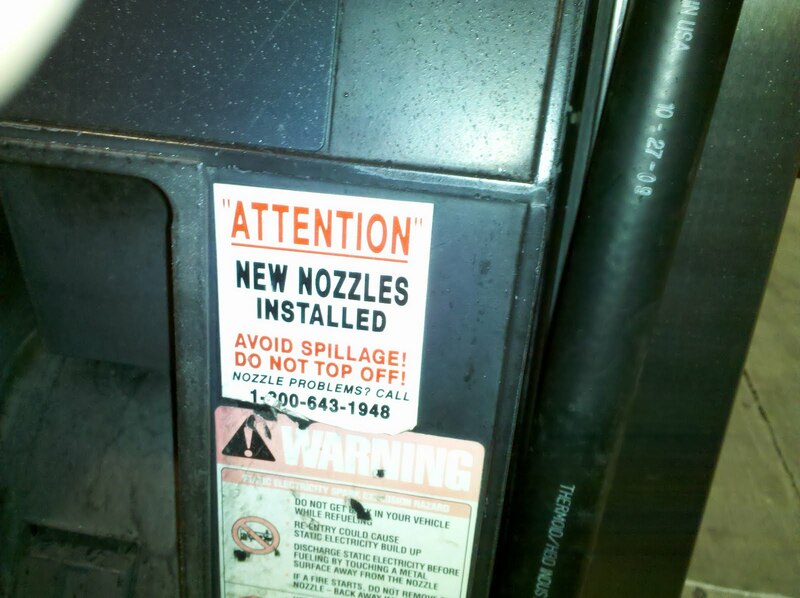 The “Blog” of “Unnecessary” Quotation Marks: "attention"
Scott suggests you are actually supposed to ignore the new nozzles. I live in New Jersey. We have these signs, but they have no purpose, as we are generally not even *allowed* to pump the gas ourselves. The attendant almost always keeps going to the next whole dollar.